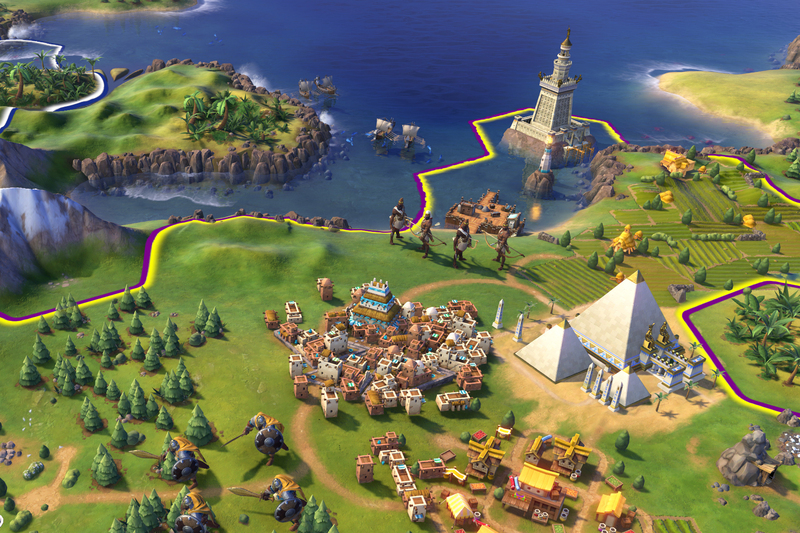 Sid Meier’s Civilization VI, set to launch on PC on October 21, 2016, offers new ways to interact with your world, expand your empire across the map, advance your culture and compete against history’s greatest leaders to build a civilization that will truly stand the test of time. Your story begins later this year! Sid Meier’s Civilization VI includes: EXPANSIVE EMPIRES: See the marvels of your empire spread across the map like never before. Each city spans multiple tiles so you can custom build your cities to take full advantage of the local terrain. There seems to be a new artstyle too. The art style looks kinda atrocious. Art looks revolting. Is it meant to be some kind of tablet game or something? It looks like an city builder mobile game. Reminds me of Age of Empires Online. I always like to hear the Sunshine soundtrack getting used, so that's a plus. Without having seen any actual gameplay I'm not sure there's much here to comment about. Yes, the art style is different but it's not like I played Civ for its art style. I'd like to see how certain gameplay elements (multi-tile cities or the combined arms, mostly) work so I guess I'll just have to wait and see. I hated the style of Sims 4 when it was first announced. I thought it was very cartoonish and awful compared to Sims 3. Then I saw it being played after release and it was like a completely different game, even though the graphics barely changed. It ended up working for what they were going for. I am waiting until I see actual gameplay that isn't in alpha stages before I say anything about the art style. The screenshots do not look impressive to me, I hope the style is going to change to something closer to CIV V or IV. Besides that I hope the online mode is improved upon, Another shitshow like with the Civ V launch would be awful. I was even having issues on LAN play then. Even now, a couple of years on there are still desync and crashing issues(although rare). From duplicate topic thread (now deleted). I actually quite like the new art style. There's a lot of detail in there - and that coupled with the visible representation of each district you build onto the city is probably going to feel quite satisfying. The colours are cheerful and I enjoy that: probably the main reason I couldn't get through much Beyond Earth was that the palette was so drab I didn't really feel like exploring much. What I haven't seen yet is a screenshot of what the game looks like zoomed out - because really, how much time do you spend that zoomed in in a civ game? A city's surrounding countryside will still be a maximum of 36 hexes, but they will now host buildings and improvements, beyond farms, mines, camps, etc. Beach calls these "districts." If you’re settling on the coast and building up a little naval fleet, then all the technologies on that side of the tree will get boosted. They’ll only cost half as much as usual. You’ll move through that part of the tree very quickly. The Pyramids must be built in the desert. Stonehenge can only be built near stone. He’s going to be obsessed with building more wonders than anyone else in the world. If you back off and don’t try to compete with him that often, he'll be fine. He’ll be your friend and you can establish a peaceful diplomatic relationship with him. But if you decide to compete on the thing he cares deeply about, he’s going to fight you on it. In Civ 5 those were all special units that took up a whole dedicated tile. In Civ 6, we call them support units. They can stack with other military units without you having to worry about managing them on a tile by themselves. All the gameplay changes sound like they'll be great to play with. Below is an IGN article on Firaxis's decision making regarding the art style. Basically, most people play the game zoomed out, so they want the art style to look good zoomed out and zoomed in. However, if that is the case, I don't understand why I've only seen zoomed in screenshots. 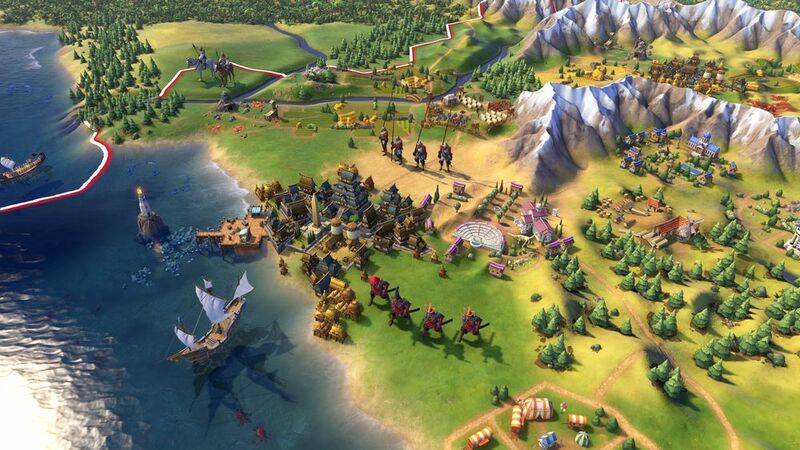 I do not care for the art style from the screenshots I've seen, but I don't play Civ for the graphics. Yeah, I'm not a big fan of the artwork, but if they get the game play right, and the artwork gets across the info that needs getting, then I'll have no problem with it. I usually play with resource icons and etc all turned on for maximum info, so I barely see the art anyways! "The happiness level will be focused on a city level, rather than on a global basis across your civilization." This might be the best I've seen so far! Really excited for this - already bought it through steam. The whole city-centric focus is really intriguing, and I think the changes will prevent as they say "doing the usual x,y,z buildings for each city" with a few deviations pending on nearby resources. I love civ for its ability to craft a different game each play through, and this will only add to that variability. My only concern is that due to this being a more city-centric game, players will inevitably be more "zoomed in" than previous versions, and hence more involved with the art. And as others have noted, the art pays attention to detail (shadows, contours, etc), but the cartoonish feel to it is definitely off-putting. This is just nitpicking though, I have no real complaints. I'm hoping it means the opposite, really: That the multi-tile cities sets up a larger scale for the game, meaning a more zoomed out POV, and the art has been scaled back to make that technically feasible. My biggest problem with Civ V is that it always felt like the scale was much smaller than in previous titles. Question: What's going to happen to our weekly Civ V forays once this is released? Are we going to migrate over, or continue until Civ VI is a little more fleshed out (with expansions and the like)? Wonders now having terrain requirements means a one-city challenge is going to get a lot harder, if good wonders have conflicting requirements. Didn't wonders have some terrain requirements before? I distinctly remember Machu Picchu as having to be built on an existing mountain. Looking forward to this game even though the art style, as so many others pointed out is pretty bad, but who am I to judge the whole game on that. MY THOUGHTS EXACTLY. I haven't played any of the previous installments, but had the game recommended to me and had a general idea about the look of Civ 5 from Google Images, and the first thing that crossed my mind when I saw that screenshot was, "this game is undergoing Sims4-ification". There is some micromanagement in the city view. You can choose what tile each of your workers (population) is on for the turn, whether you want any of said workers to become specialists like bankers or artists (for various bonuses) and whether to destroy any of the buildings you've built. It gets fairly important on Deity difficulty and when you're playing a One City Challenge (or Venice) because you need to get the absolute most you can out of your tiles.